Over 64,000 people died of drug overdose in America last year. 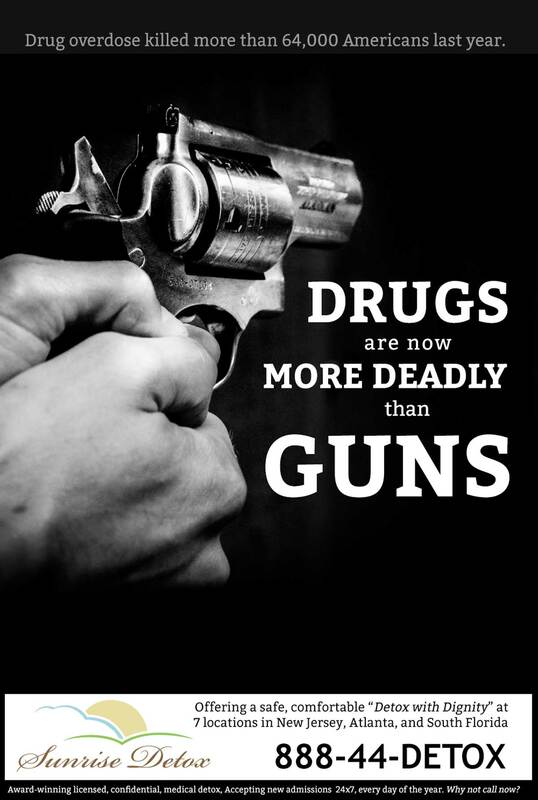 For the first time in recorded history, more people now die of drug overdose than gun violence. The dramatic rise of overdose death associated with tainted heroin, especially heroin laced with carfentanil, led the rise. But it wasn't only heroin that was dramatically rising last year; there were more deaths attributed to cocaine, opioids (prescription pain killers), and even cannabinoids. The Florida Medical Examiner's Report for 2016 shows the trends that led to this dramatic rise in overdose deaths, in Florida. A message from Sunrise Detox: In America, drug overdoses now kill more people than guns. Tainted street drugs drugs are killing users without warning. There is no high, no fix... only death. For many, the window of opportunity for getting help with addiction does not last long. Can you call us right now?